Your neighborhood dentist on South Lamar! Enamel is the outer protective layer of the tooth. It is also the hardest substance in the human body, stronger than any bone. We named our practice “Enamel Dentistry” because we want to be the strength patients can rely on to provide top-flight protective care for their health. Located right in the center of Austin on the corner of South Lamar and Manchaca on the bottom floor of the Cielo building! We welcome you and your whole family to come visit us! Offering a variety of services including (but not limited to) Invisalign, preventative dentistry, sleep dentistry, emergency dentistry, and cosmetic dentistry, we can serve you in a multitude of ways. We will work hard to become a partner with you not only in terms of your dental health, but your overall health as well. Together we can tailor an experience to address your personal concerns and needs providing you and your family with customized care. 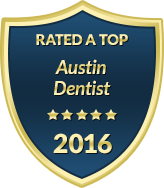 As your dentist in Austin, we are looking to redefine the traditional experience of going to the dentist. We want to be your partners in health and provide a comforting environment where you can be an active participant in your healthcare. We will assist you using the latest technologies to help you achieve your goals. Patient Comfort and Convenience is our number one priority! Think place is fairly new in a convenient location. Dr. Patel is truly knowledge and very friendly. He took the time to explain everything to me. I highly recommend going in for a visit. I had such a great experience at Enamel! Everyone there is very pleasant to talk to and they explain all of the processes to me very nicely. I left feeling like my teeth were squeaky clean and definitely plan on coming back for my next cleaning in 6 months.